The iconic English poet and playwright “The Bard of Avon” has been beautifully carved from solid maple wood. 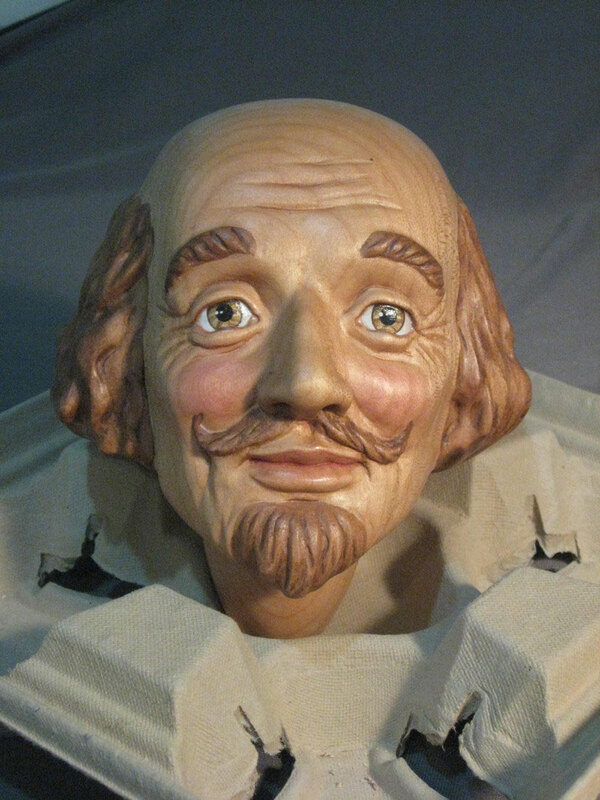 He is 24″ tall with 13 moveable ball and spring joints and hand painted face, hands and shoes. 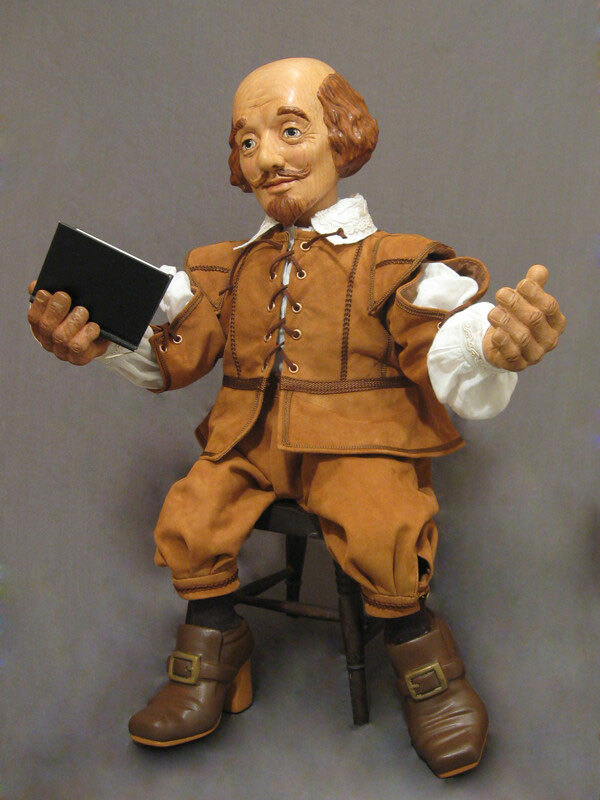 His costume has been designed and sewn in an authentic reproduction of Shakespeare’s time by costume designers for Vancouver’s “Bard on the Beach” made from soft leather and batiste cotton. The music used in this design is from “West Side Story” which was compared as the modern day Romeo and Juliet. For International orders, please use the button below.